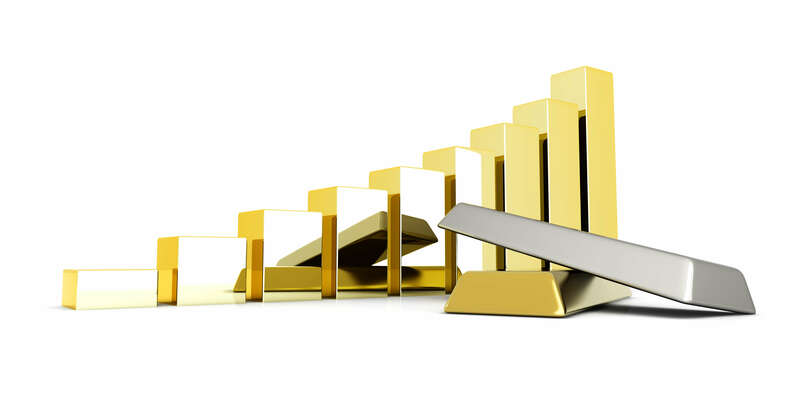 Gold has traded in a relatively narrow range over the past few years, leaving a space for a certain white metal usurper to steal its spot at the top of the precious metals pricing charts. By the end of 2018, palladium prices gained around 50 percent in less than four months to reach record levels, as our favorite yellow metal failed to capitalize on some seemingly bullish scenarios. A sustained supply deficit coupled with robust demand and rising interest from speculators have pushed prices of palladium from around $832 an ounce in mid-August to a high of $1,263.56 per ounce when it finally bowled over gold for top billing at the beginning of December 2018, for the first time since 2002. That day, palladium was trading at a premium of more than $25 an ounce to gold, in striking contrast to about two years ago when gold bullion was twice as expensive. Afterwards, palladium spent the rest of the year in the $1,250 range with the prices continuing to creep up through the end of December, neck and neck with gold, until explosively breaking out above $1,400 in January of 2019. Gold, meanwhile, was stuck in the doldrums between $1,230-1,260, having largely lost out to the dollar in 2018 as the U.S. versus China trade row continued to escalate and bring rising interest rates with it. So, what led to this big showdown and where do we see the futures of gold and palladium as they continue to tussle over the title of “Most Valuable Precious Metal”? Gold has remained a status symbol for wealth across cultures for thousands of years, providing lasting value when even major civilizations have risen and fallen. In the modern era, gold has proven extremely useful in the electronics industry as an integral component in hardware because of its electrical conductivity, resistance to corrosion, and chemical stability. As we’ve seen in more recent years, as economies take a downturn, gold is easy to buy and sell. It has a proven history of negatively correlating with the stock markets, meaning that when the value of the stock market becomes unstable, gold actually tends to increase in value. Unlike stocks, bonds, mutual funds, etc., gold truly is a form of financial insurance and the best way to preserve your wealth. The point is, gold isn’t going anywhere. It’s the only true currency in the world, as it has been for millennia. In 2018, gold fought against significant demand for traditional stock and mutual fund investments, as well as crypto-mania and the rise of marijuana stocks. It weathered tremendous exchange-traded-fund (ETF) outflows, and has been under incredible pressure from a stable and slightly appreciating U.S. dollar. The lows for gold seemed to be set in December 2015 back at $1,050 per ounce. Since then, trading has been in fairly narrow ranges with a few failed break-out attempts, but a weakening U.S. dollar will fuel higher gold prices. Going into 2019, the price of gold should benefit from geopolitical risks and a softening U.S. dollar. Expect physical demand to increase exponentially, as rising U.S. debt takes center stage. The volatility in the equities market will continue to stoke investor fears, inciting a movement back to the safe-haven of gold. A significant base is forming for gold around current price levels. Most investors are waiting to see if the anticipated rise in gold prices is for real. For them, a breach to the upside of $1,350 per ounce may not be enough. Most will look for confirmation of the break-out above $1,400 an ounce. Gold has been an obvious choice for investment that dates back several millennia, however, the so-called “white metals” can also provide benefits as a savvy, long-term investment. As we have seen with palladium’s meteoric rise, industrial demand for white metals, particularly in automotive manufacturing, is on the rise, which is good news for platinum and palladium investors. Palladium is softer than platinum, but they share similar industrial uses, and now its use in automotive manufacturing eclipses platinum. The new catalytic converters now favored by automotive manufacturers for their environmentally friendly and energy efficient technology have caused palladium prices to sharply increase as the world’s limited supply is being consumed. Historically, palladium was much less expensive than platinum and therefore benefitted the industry’s bottom line when it came to the cost of producing a vehicle. Automotive manufacturers have shifted over the past few decades from primarily using platinum to primarily using palladium. For the factories to transition back to platinum now that their roles have reversed would take some time so it doesn’t seem that palladium’s reign over its sister metal will be over any time soon. In 2017, supply of palladium rose slightly, while the demand rose drastically, supporting palladium pricing and making it a good current choice as a precious metal investment since prices seemed set to rise in the future. However, there are only two countries in the world that current mine palladium, Russia and South Africa, and as both are prone to political upheaval, the supply will continue to be limited and possibly even inaccessible going forward. This will continue to drive prices up, even just based on speculation on the rarity of this white metal. Currently, palladium is enjoying a record high above $1,400 per ounce due to supply deficits. However, for palladium, the potential for a dramatic move to the downside is still a possibility. In a thinly-traded market, relatively small inflows or outflows can have a major impact on prices. Despite the fact that some traders believe a price correction is long overdue, a strong selloff is unlikely any time soon. Platinum was eclipsed by its sister metal palladium over a year ago, and in recent years, platinum pricing has dropped far below gold’s stable pricing, but for most of its history it has traded at a higher premium to gold. 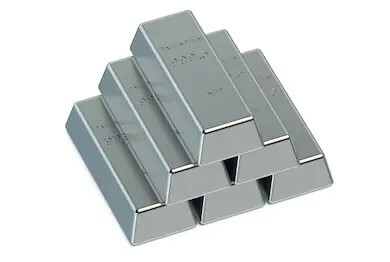 Analysts predict a return to a dominant status in the future due to platinum’s high value in industrial usage; its rarity and limited supply should lead to price increases going forward. In the meantime, palladium’s strong run could run out of steam, as technical analysis charts show prices now moving into overbought territory, which could enable gold to re-establish its premium over palladium, and platinum to shift places with palladium as automotive manufacturers begin the slow transition back to factories that can process the less expensive metal. Palladium might be duking it out with gold prices for now, but gold investors should anticipate a breakout in the next calendar year which should leave palladium in the dust. Palladium might even find itself dropping back into third place if automotive manufacturers shift back to using less costly platinum as the primary resource for catalytic converters. 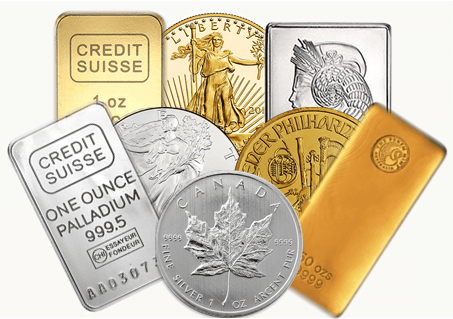 To invest in gold, silver, platinum, and palladium, now while precious metals pricing is still below breakout prices, please sign up for your ASI Precious Metals Direct account and start trading today!